Independence Day comes early in Los Santos; discounts on Liberator and masks too. 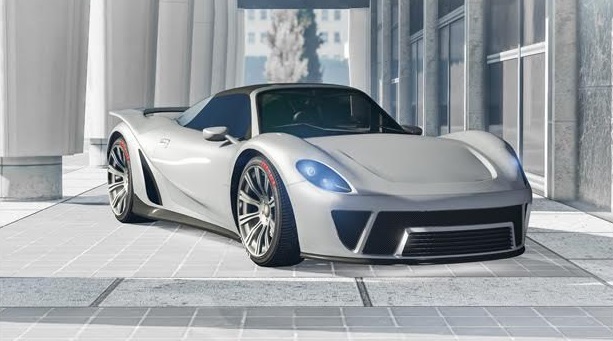 A surprise update to GTA 5 Online has added a new sports car for purchase and a new round of missions handing out double PR and cash. The Pfister 811 is available to buy from Legendary Motorsport for $1,135,000 and looks rather sweet. If you head to the Rockstar Playlists from the drop down menu you’ll find a 2X $ and RP playlist for three street races: Senora Freeway, Arms Race and Business Trip. Time to put that Pfister or new Grotti to the test. There’s discounts on the turreted limo, Karin Technical, Liberator monster truck, Sovereign motorbike, the musket and tyre smoke for the Patriot, as well as masks. And as of this weekend the Independence Day content is back until July 11, with a special dedicated weekend.